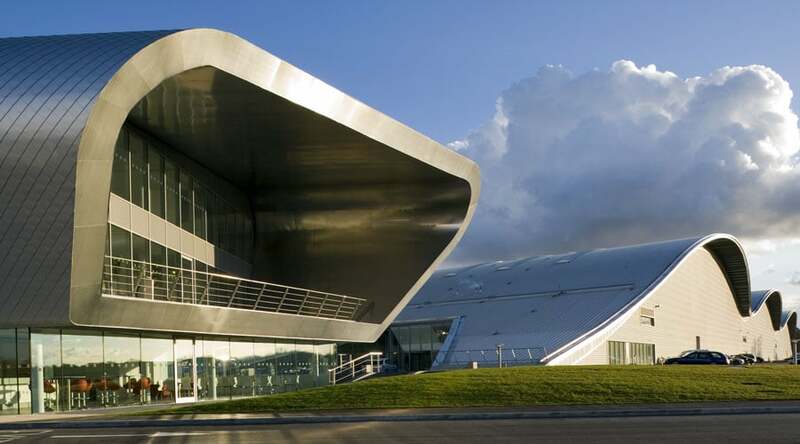 TAG London Farnborough Airport is one of the most modern, luxurious private airports in the UK, with a host of features and perks to enjoy whilst you wait for flight, as well as a stunning five-star hotel to match. Ensure you continue to enjoy your first-class service before and after you flight by booking a Farnborough Airport chauffeur to cater to your onward journey needs. We have a wide range of beautiful luxury hire cars for you to choose from and are accustomed to chauffeuring a whole host of private clients, ensuring discretion and ultimate professionalism at all times. Whether you’re looking to hire a business chauffeur for airport transfers or are travelling for pleasure, Starr Luxury Cars will be happy to accommodate, offering a five-star chauffeur experience. Our team of carefully selected chauffeurs reflect our morals and values, always ensuring our clients’ interests are number one priority. Your personal Farnborough Airport chauffeur will make your travel as stress-free and pleasurable as possible, dealing with your luggage and getting you to your final destination promptly and efficiently. Book your luxury airport transfers with Starr Luxury Cars and let us handle all the planning and logistics for you, enabling you to relax and enjoy your premium hire car environment, whether you choose to work or relax. On arrival at Farnborough Airport, your executive hire chauffeur will be ready to meet you. Whether your flight is on time, running behind or even slightly early, your chauffeur will monitor your live travel information and ensure that we are there whenever you need us, allowing you to make your onward journey as quickly as possible. We will collect you from and drop you to any address in the UK, be it London, the surrounding areas or even further afield. By pre-booking your Farnborough airport transfers with Starr Luxury Cars, you can avoid the crowds and waiting times, allowing you to enjoy the sumptuous comfort of one of our executive vehicles and make the next leg of your journey. For further support, we offer a Farnborough Airport assistance and hostess package, a service which ensures you to relax and wind down at the airport, whilst we cover any organisation, luggage handling and extras for you. With the biggest fleet of prestige chauffeur-driven cars in the UK, you won’t be stuck for choice. From executive Mercedes to premium Range Rovers and Bentleys, you are free to select the prestige hire car which suits you and your requirements. We have cars to fit individuals, couples and larger groups and will always do our utmost to source a specific car, should you not be able to see it on our website. Each of our luxury chauffeur-driven cars come with all the modern conveniences you may need as standard, but we also offer the finest extras for special occasions. Choose from premium alcohol packages for celebrations, to child car seats for family trips and even a full bodyguard service for VIPs. You can book any airport transfer online or speak to our outstanding team to discuss your requirements or request further information.